Microsoft, marking the one-year anniversary of Windows 10, said the operating system is running on more than 350m active devices. More than 96% of Microsoft’s Windows enterprise customers — those who have older versions of Windows and a volume license to use them — are already trying the new operating system, said Windows marketing chief Yusuf Mehdi. That should boost the number of active users in the coming year. Microsoft had set a goal of having Windows 10, released on 29 June last year, on one billion active devices within two to three years of launch. Wednesday also marks the end of a free upgrade Microsoft offered for many customers for the first year and it’s possible there may have been a rush of downloads to get in under the wire, Mehdi said. The offer was meant to juice early Windows downloads and it remains to be seen whether the pace of customer additions will slow — the company expects corporate uptake to grow as more companies try the product. On 2 August, Microsoft will release an anniversary update to Windows 10 that adds new security, inking and gaming features. Customers who downloaded the earlier version by today still get a free upgrade to the anniversary edition. 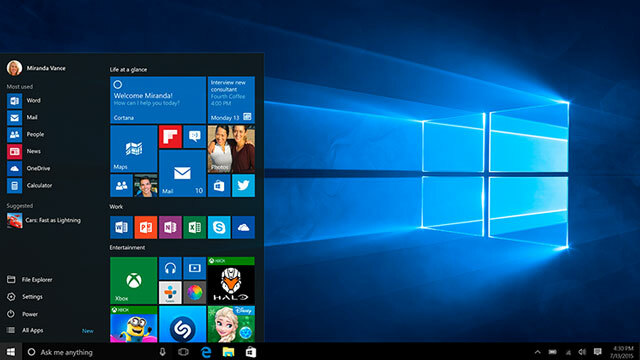 Otherwise Windows 10 will cost US$119 (R1 772 at the time of writing).